New research has uncovered how undocumented translocations of endemic fish species in Sri Lanka resulted in scientists mistakenly describing what they believed to be a new species of “fire rasboras,” a fish popular in the aquarium trade. A population of the Rasboroides fishes, translocated in 2003 to a habitat where it had previously never been recorded as occurring, formed the basis for an erroneous finding in 2013. The new study that corrects this mistake calls for strict adherence to IUCN guidelines on translocation of species and the prohibition of intentional release or introduction of species without legal sanction. It also highlights the potential for misdirection of scientific research and conservation initiatives that can arise from declaring new species that aren’t, a practice known as taxonomic inflation. A tiny fish described in 2013 from a stream in Sri Lanka was apparently a known species that had been moved there years earlier, according to a study that underscores the importance of due diligence when it comes to the translocation of species. A taxonomic review that year of the freshwater fish genus Rasboroides, from the Cyprinidae family, recognized three of the already established species in the genus: Rasboroides vaterifloris, R. nigromarginatus and R. pallidus. It also described a new species, R. rohani, from a localized population in the Walawe River Basin in southern Sri Lanka. 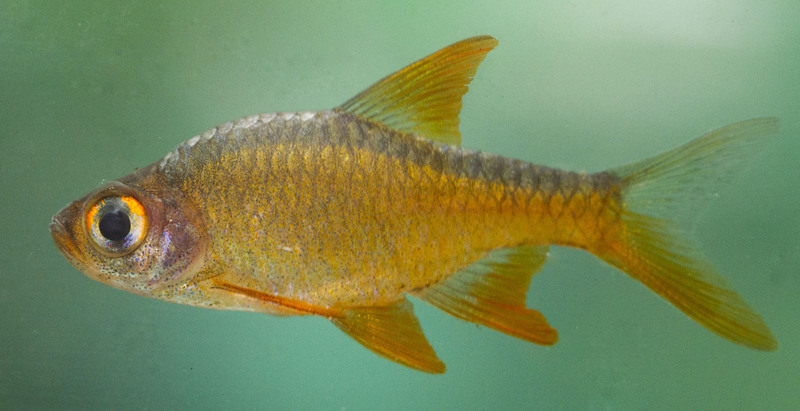 In 2018, a team of researchers led by Hiranya Sudasinghe, a molecular biologist at Sri Lanka’s University of Peradeniya, carried out a taxonomic assessment of the country’s cyprinids, and began asking questions about R. rohani. In their findings, published in December 2018, Sudasinghe and colleagues Jayampathi Herath, Rohan Pethiyagoda and Madhava Meegaskumbura revealed that there had been two undocumented translocations of Rasboroides, one of them into the Walawe Basin, and that the species described as new in 2013 was in fact the already known R. Pallidus. The translocation in question took place in 2003 near a monastery in the Suriyakanda area of Ratnapura district. 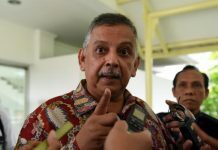 In June 2018, a conservationist, on condition of anonymity, told Sudasinghe and Pethiyagoda that he had in 2003 moved, in apparent good faith, several specimens each of Rasboroides (evidently R. pallidus), Devario pathirana, Puntius titteya, Pethia igroasciata and Malpulutta kretseri to the stream at Suriyakanda. It was this population of Rasboiroides that was subsequently recoded 10 years later in the taxonomic review that declared the news species R. rohani. The genus Rabsboroides had not previously been recorded from the Walawe Basin, according to studies dating back to 1958. Besides, this only known population of R. rohani occurred at an elevation of 980 meters (3,200 feet) above sea level, substantially higher than all other natural populations of Rasboroides. This should have indicated that R. rohani might represent an undocumented translocation, but the 2013 study distinguished it from the other known species of Rasboroides based on what the researchers termed “morphological characters,” or physical differences. Sudasinghe’s team also recorded a second previously undocumented translocation of R. vaterifloris into the Mahaweli River, nearly 40 years ago. 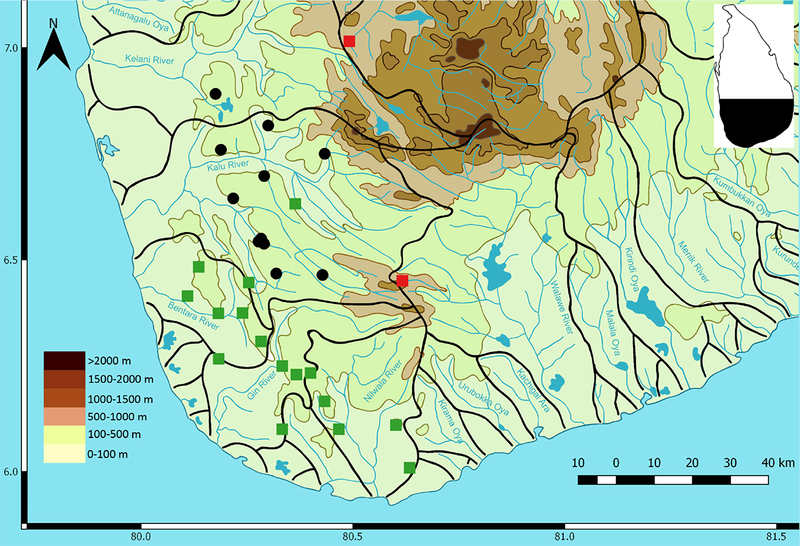 The research stated that a shared haplotype suggested the latter’s introduction was possibly made from the Bentara River Basin and not from the Kelani, as claimed. The researchers behind the 2013 study also omitted to examine another population of Rasboroides in the vicinity of Ginigathhena in the Mahaweli Basin, from which the genus was absent until introduced in 1981. Rasboroides, endemic to Sri Lanka, are popularly known as “fire rasboras” for their attractive colors. Combined with their gentle disposition and diminutive size (averaging 35 millimeters, or 1.4 inches), this makes them a popular species in the aquarium trade. As an endemic, freshwater-fish genus restricted largely to streams fed by Sri Lanka’s dwindling rainforests, Rasboroides attract considerable conservation attention. The National Red List treats R. nigromarginatus as critically endangered and R. vaterifloris as endangered. 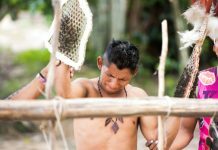 But mistaken “discoveries,” even those committed in good faith, can trigger unnecessary conservation efforts, in addition to misdirecting scientific research. The 2018 study highlights the wasteful diversion of conservation resources to populations resulting from undocumented translocations and to taxa resulting from taxonomic inflation. Hiranya Sudasinghe, who led the study, carrying out fieldwork in the rainforests of Sri Lanka. Image by R.H. Tharindu Ranasinghe. The 2013 study indeed urged better conservation efforts for the purported new species, but Sudasinghe’s team now hopes that in the light what they have uncovered, a fresh assessment of these fishes will be carried out. 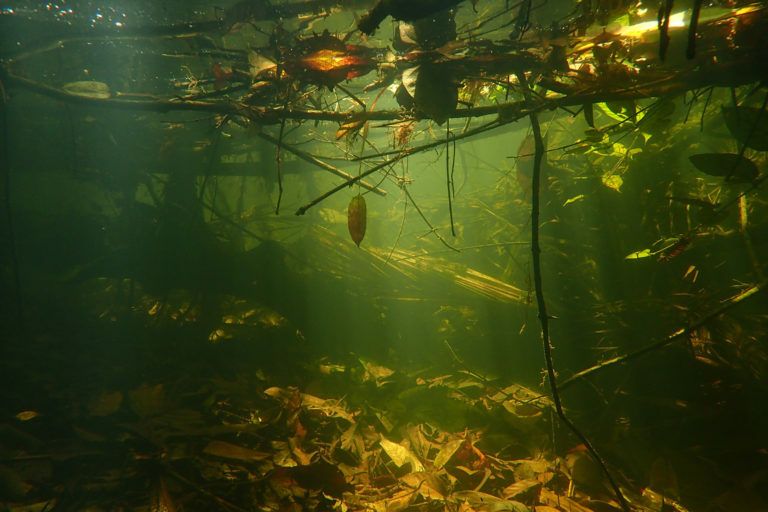 They also note that while translocation is recognized as a valid intervention in the conservation of freshwater fishes threatened in their natural habitat, the translocation of freshwater organisms, especially if poorly planned or involving the transfer of species between basins, risks confronting the host community with threats including competition for resources, predation and the unintentional transfer of pathogens, parasites and non-target species. The team concluded that the case of R. rohani illustrated a double waste of scientific effort: first in 2013, to describe the translocated species as new, and then in 2018, to determine the contrary. 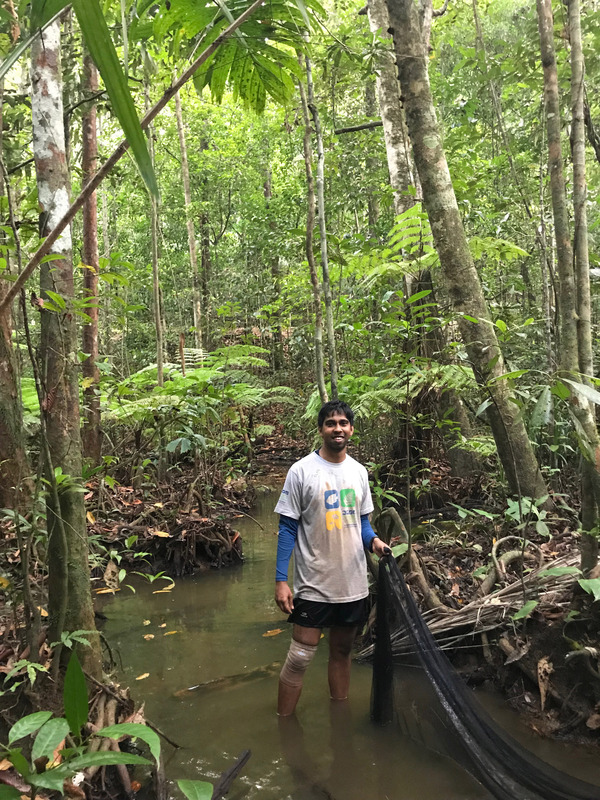 Rohan Pethiyagoda, a former deputy chairman of the IUCN Species Revival Commission and a leading taxonomist on freshwater fishes in Sri Lanka, told Mongabay that translocations should not be carried out unless there was a conservation emergency, and even when doing so, such activity should be supported by accurate documentation. 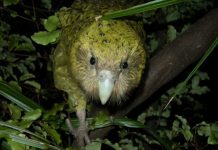 According to the IUCN’s criteria for species translocation, such a move should be treated as a last resort, as translocations can result in attacks by native species and hybridization. The recent study recommends that any future attempt to introduce species to new habitats must be guided by the IUCN, and that any intentional release of species without legal sanction must be prohibited in Sri Lanka.